Our Lenten series takes us through the Dark Woods, inspired by the book Gifts of the Dark Woods by Eric Elnes. 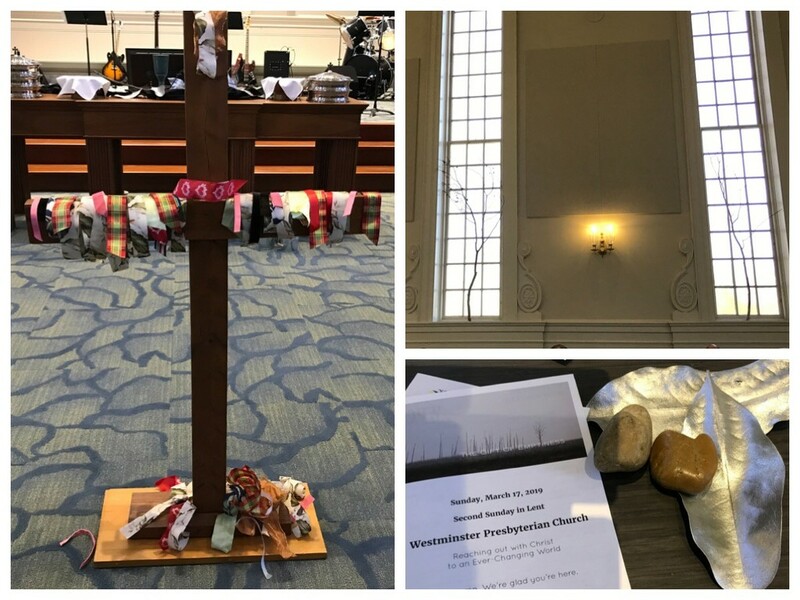 The branches placed in each window represent the journey we are on.The ribbons on the cross represent those things we have chosen to put aside so we can be filled by God. It was a thought-provoking and uplifting service and a great way to prepare for Easter. Wonderful symbols or Lent. Sounds like a thought-provoking book. Interesting symbols can add meaning for everyone.